The 2014 Nobel Laureates received their awards earlier this week on December 10th. The awards are presented to individuals or teams that contribute to the betterment of the world through research in areas such as Physics, Chemistry, Economics, and Literature. Being named as a Laureate is a great honour and there are only a handful of people who ever receive the award. However, when Sir Frederick Banting and Dr. J.J.R. Macleod received the Nobel Prize in Physiology or Medicine in 1923, Banting initially refused to accept the award. Banting and Macleod were named as the co-Laureates in 1923 for the discovery of insulin and its purification for use in humans. The two men had both been involved in the research that led to insulin being used to treat diabetics, along with Charles Best and Dr. James Collip. Banting did not believe that Macleod should have been the co-recipient, but that Best should have been given the honour. Best had been the one working in the lab with Banting day in and day out, whereas Macleod had been skeptical of Banting’s hypothesis and the fact that he did not have much experience in doing research. Banting actually sent Best a telegram at Harvard University, where Best was giving a presentation about their research, when he found out that the Nobel committee had decided to honour Macleod. Banting told him that he believed Best deserved equal credit for the discovery of insulin and that Banting would only share the prize with him, not with Macleod. As the youngest Nobel Laureate at that time, and as the first Canadian to receive the honour, Banting eventually decided to accept the award with Macleod. However, he was not shy about saying that he believed Best should have been included. To show his support for Best, Banting gave him half of his prize money. This put Macleod in an interesting position, because he and Collip had been involved in refining the insulin that Banting and Best first produced. Macleod was a respected researcher at the University of Toronto, and had been the one who had enabled Banting to do his research in the first place. Macleod had initially stated that he would not share his prize money with anyone, but ultimately he decided to share his winnings with Collip. The controversy put a strain on the relationships between the men, with Banting and Best on one side, and Collip supporting Macleod and the University of Toronto on the other. The disagreement between the researchers took away from the meaning that the Nobel Prize was supposed to carry. The Nobel Prizes celebrate the successes of some of the brightest minds in the world. Even when there is controversy over who an award is given to, the impact of the discoveries that were made should stand out and be seen for what they were able to accomplish, and how they have made the world a better place. Banting and Macleod’s award demonstrated how important finding a successful treatment for diabetes was for people around the globe and what the impact of insulin was for people with diabetes, regardless of the disagreements the two may have had. 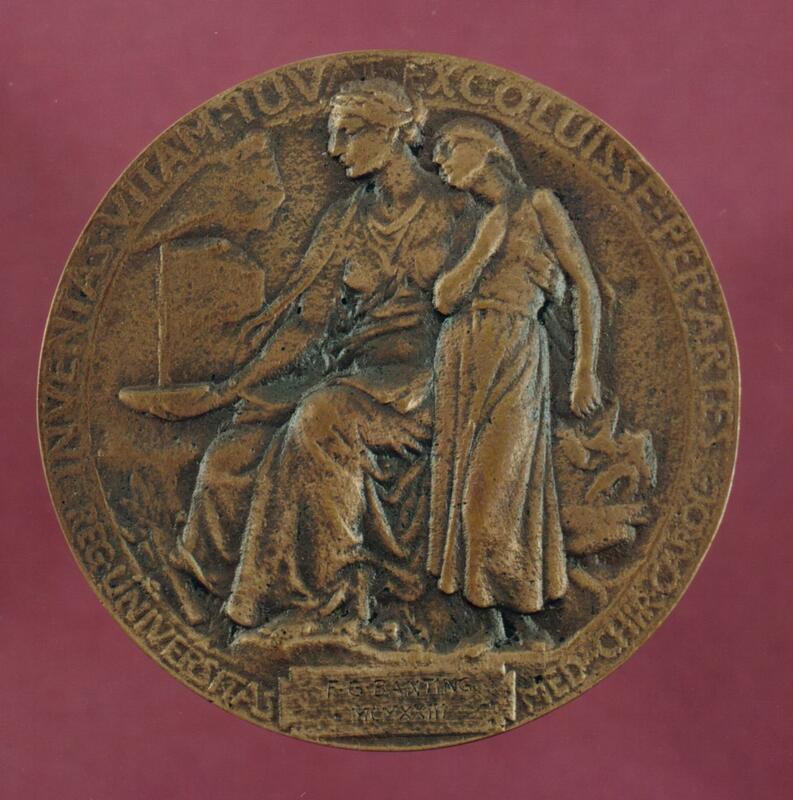 A replica of the Nobel Prize awarded to Dr. Banting and Dr. Macleod in 1923. It is on display at Banting House NHSC. Posted in Uncategorized.Tagged Banting, Insulin, Nobel Prize.